A bit pricey if having to get the bassinet as well. 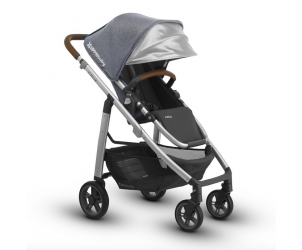 We did a lot of research before getting our pushchair and finally settled on the Cruz. It is a great quality pushchair with great reviews. There are lots of features which make our lives much easier. It folds quickly, even though it requires two hands. The bassinet can be removed with one hand. There are colour indicators to know which side the car seat adapters clip on and whether the seat/bassinet is on correctly. With the seat, it can be folded as one piece. The leather handlebar was the nicest one we tried. The seat can be reclined and handlebar extended with one hand. There is a viewing window in the seat. We've had a problem with a squeaky chassis. 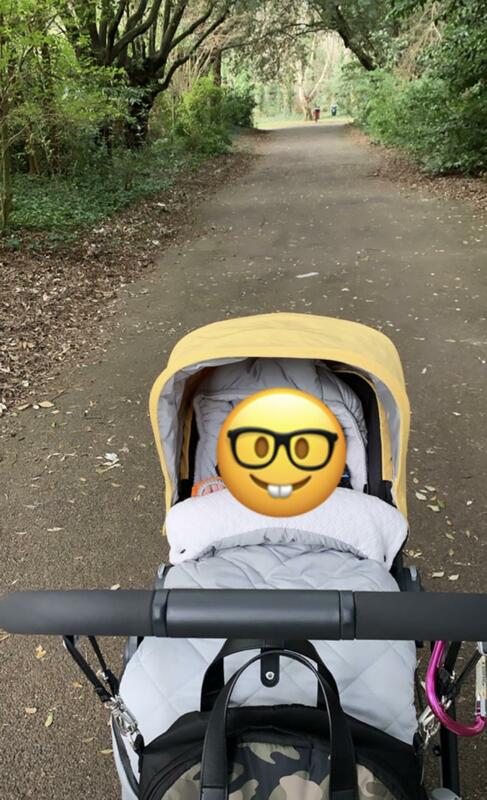 Judging from reviews and talking to other parents with this pushchair, this seems to be a one off. I love that this pushchair is light and easy to move around but yet built to last. Can be a bit bumpy due to the last of suspension. When picking a pushchair I wanted something that was easy to put up and down, as light as possible, value for money and stylish. The Uppababy Cruz deliveries on all of the above. I also wanted as big a basket as possible. 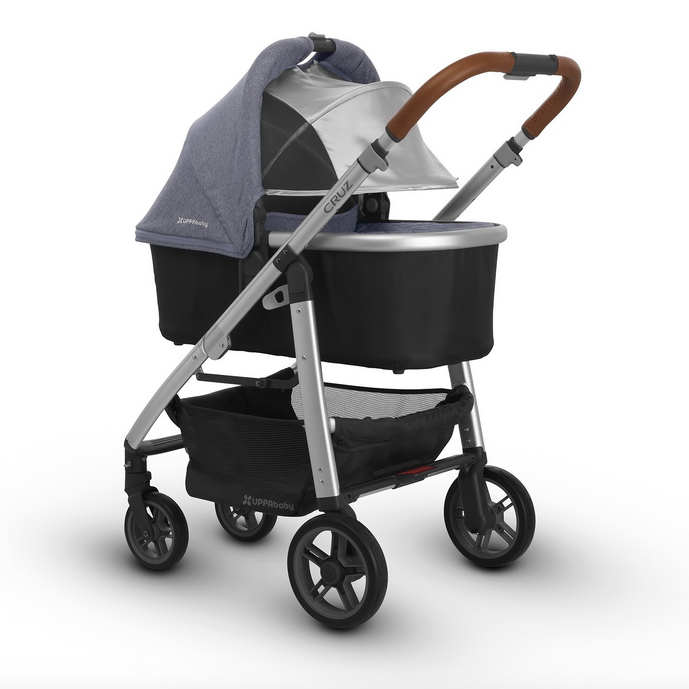 We have had many comments on how nice the pram is and we couldn’t be happier with it. It also has a smaller frame so getting it around the shops is a lot easier than some of the larger prams I have seen. We have just come back off holiday and the pram came with us. 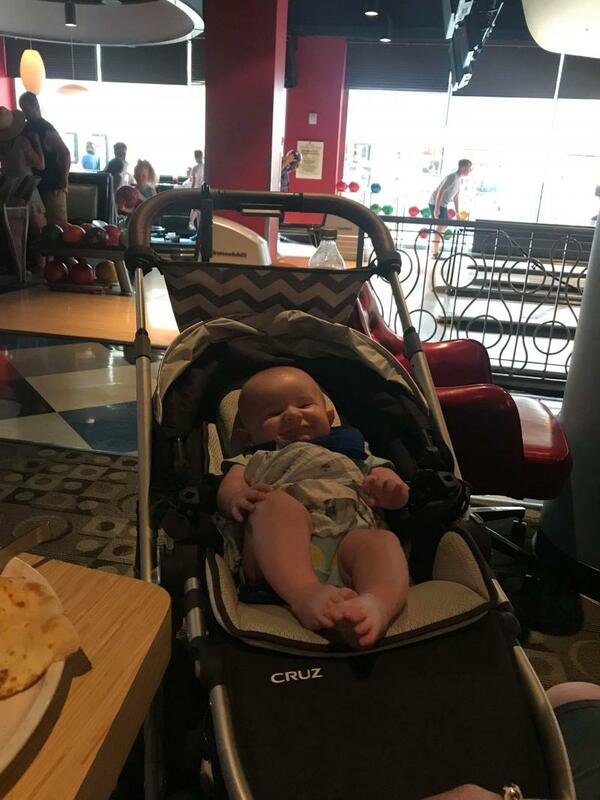 Our son is very happy in it and the infant insert looks very comfortable. 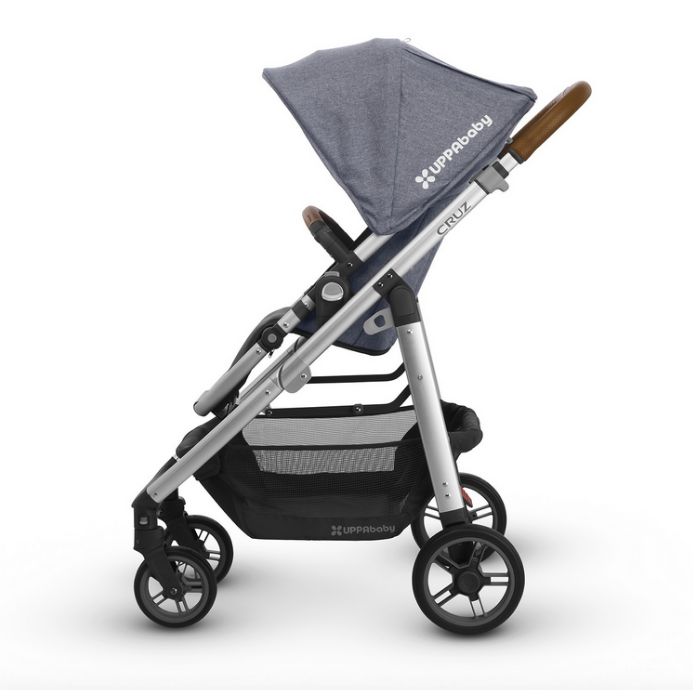 Uppababy cruz is a good and durable pushchair. 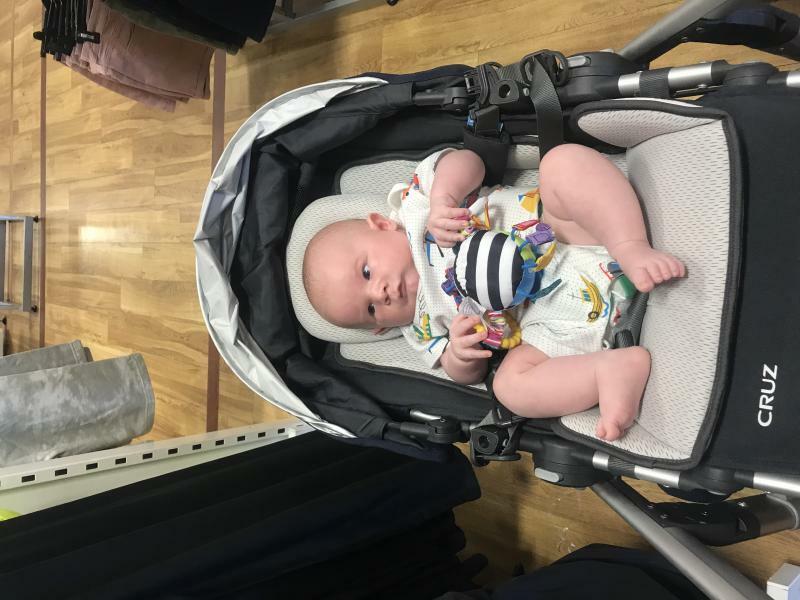 We bought the pram top which lasted until our boy was 5 months old when hey just got too big. The pushchair top is great we have it rear facing at the moment. Our boy loves being able to see everything when it's on its upright setting. Love that you can lay it down when he falls asleep with the simple push of a button. The cruz is good on grass and walking through parks not tried it on sand. Its really easy to manoeuvre and its turning circle is compact. Would highly recommend. Really pleased with purchasing this product. So easy to change from seat to bassinet. Like the fact that the seat can be facing me and then changed when older. The UV shade is a bonus. I would highly recommend this product to anyone I know. It’s super easy to fold away and even easier to unfold. The basket underneath is very spacious so there is no cramming bags etc in. The wheels are big and sturdy and are also very easy to click off (convenient for myself who has to take these off to fit in my fiat 500 boot). There is no need to pay extra to buy the carry cot as the infant snug seat does from birth. The bar across can come off which I have found hand with my LO while she is still a baby (below 6 month) as it’s easier to access her. I also like the fact that around my area this isn’t a well known brand therefore I have only seen two other mums with the same buggy. When we bought this we got a rain cover, mosquito cover and car seat adapters included which I thought was very good. 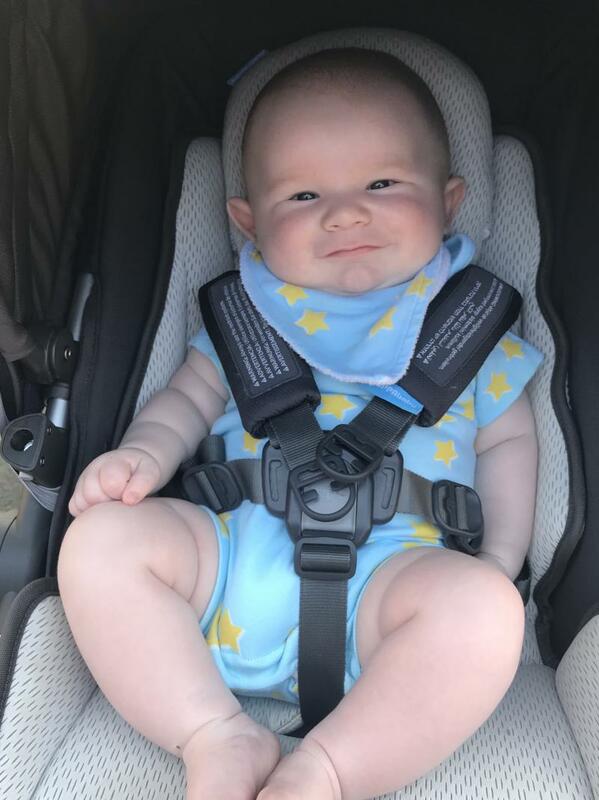 We use the car seat adapter (maxi cosy car seat) quite a lot and they retail at around £40 alone so to get them in with the price of the buggy was great. The seat size is also very roomy so I suspect we will get good longevity out of this buggy. Very pleased with the purchase! Strong, easy to turn and to enter pavement. good height from the ground. seating not cushioned like some other pushvhairs. Very happy about tgis product as baby is sleeping well in that. Easy to push and turn. Good quality for the money. Big tyres and good storage space is very useful. Easy to clean the seat. I love this pushchair. I had the carrycot on to start of wirh and now use the pushchair. It’s so easy to put down and back up again. My baby is always so cosy in this. It’s easy to steer only downfall is sometimes the wheel sticks but roll it forwards and back once and it’s ok. Overall I love this product. It was recommended by a friend and hasn’t dissapointed. I love this pram! It has all the benefits of any travel system with the added bonus of being lightweight and narrower so great for a city pram!! I have been able to use this from birth as you can buy snug seat insert which is so comfy and my baby sleeps in it well! The shopping basket is huge! The narrow width of the new UPPAbaby Cruz Pushchair makes it perfect for navigating the city streets. Car Seat adaptors and the bumper bar are now included, as are the sun shield, rain cover and insect net. 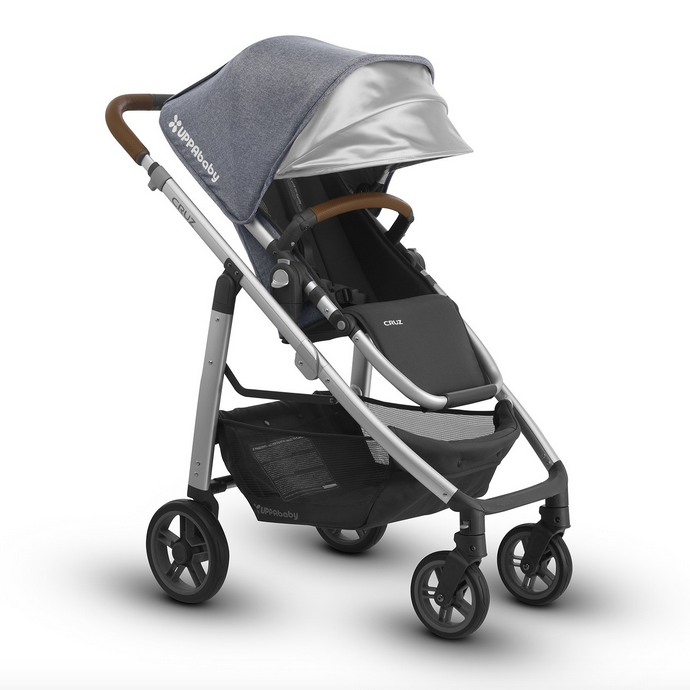 By adding the UPPAbaby Universal carry cot (Sold separately), the Cruz is ideal for use from birth. With the addition of the Cruz Piggy Back (Sold separately), a toddler can also ride on board with baby. Larger rear wheels with AIRGO non-puncture tyres provide a smooth ride.